with thin ankles). 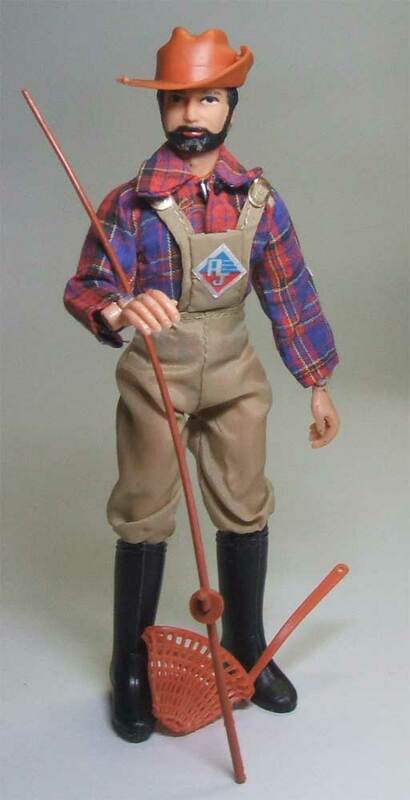 It’s interesting to note that the boots included with fishing later became the first World’s Greatest Superheroes boots. 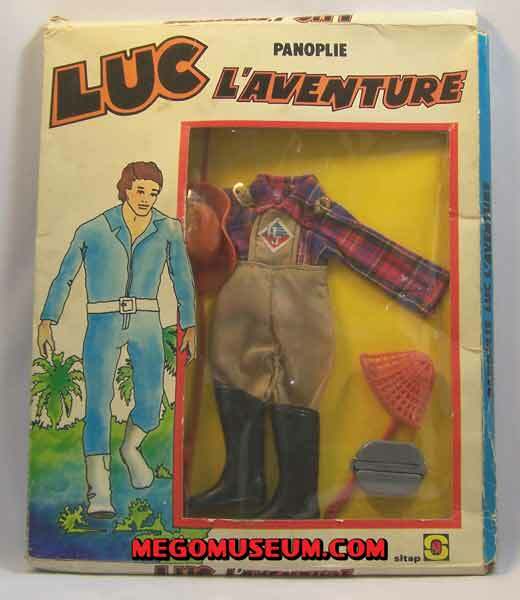 Action Jackson was known as “Luc L’Adventure” in France, above is a boxed Fishing outfit for Luc. 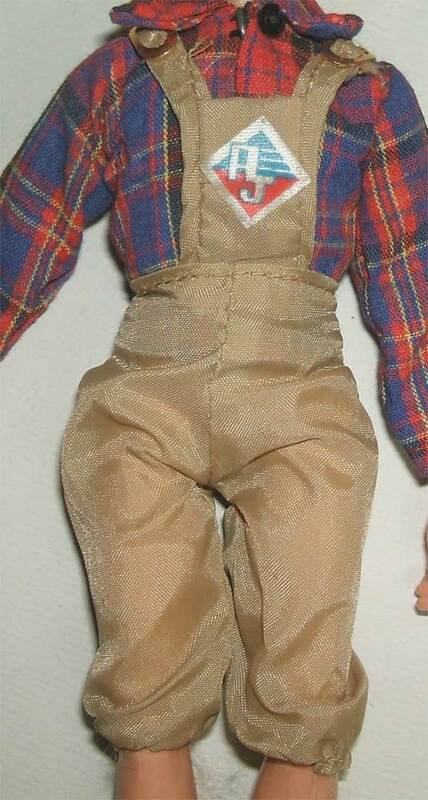 No boxed Luc action figures have been unearthed as of yet but they must be out there. The AJ Fising set most commonly comes with black boots that later became the standard hero boot. 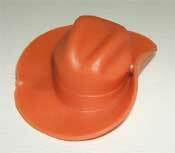 However, some sets come with an odd boot that doesn’t actually fit the figure. 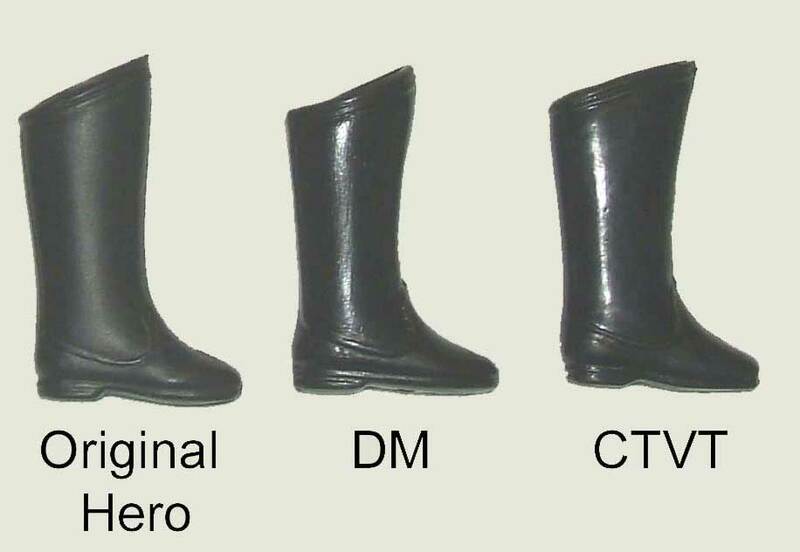 The first picture is an example of each of these boots. It should be noted the more common hero style boot is the “skinny” style hero boot, which is more narrow than the later hero style boot. The black hero boot was also available on early versions of the Dr. Zaius figure in the POTA line, but that boot wasn’t “skinny” style. 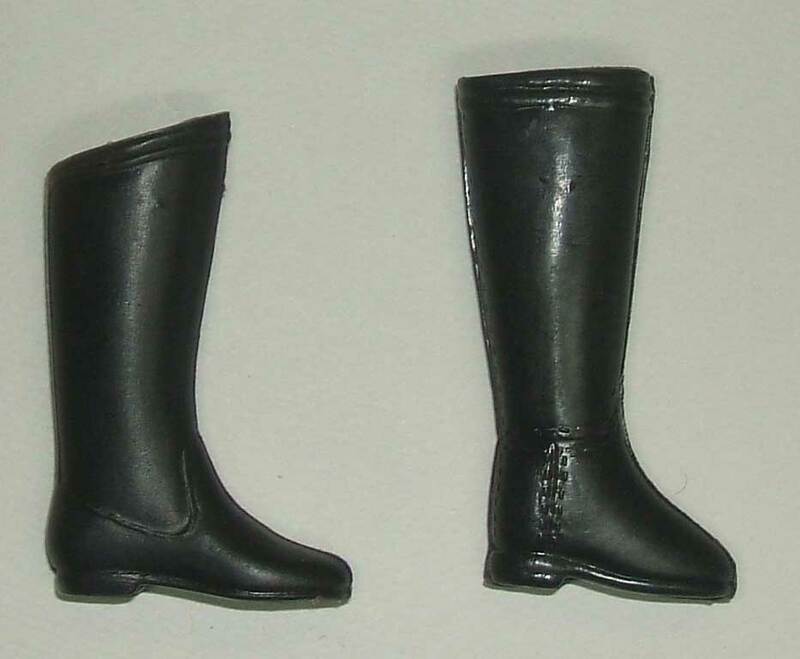 Both Doctor Mego/EMCE Toys and Classic TV Toys have made reproducitons of the hero style boots. Both reproductions are more glossy than originals. DM’s are a thicker plastic, more round around the edges and stamped DM on the bottom. CTVT’s are closer in thickness but are slightly different in shape. They are unmarked. The third picture shows the fit of the unique boot that can sometimes be found with this set. It’s obvious from the picture that there is no way that boot will fit on that foot. Not only is it too short, it is also not wide enough. This boot has not been factory reproduced. 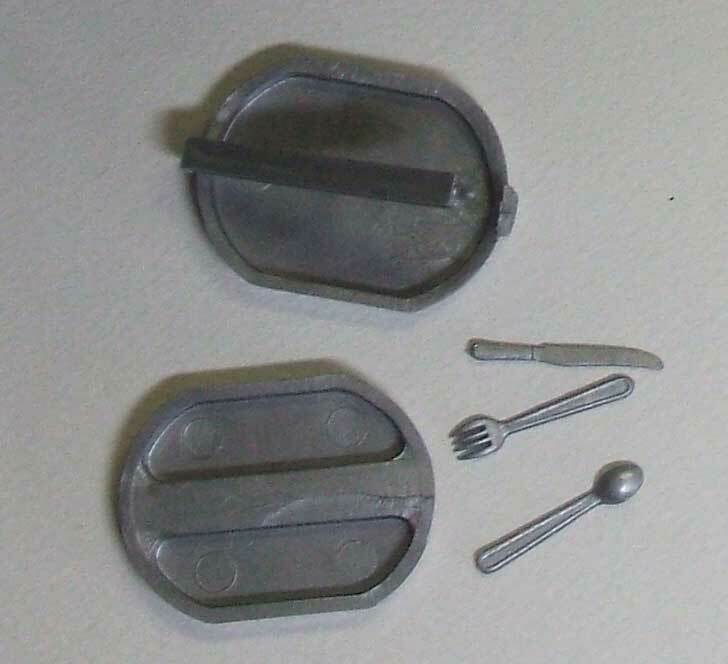 This set most commonly comes with a silver Mess kit that opens to hold his knife, fork and spoon. The mess kit can also be found with the Jungle Safari set. This item has not been factory reproduced. There is a version of the set that came with a harpoon gun instead of a fishing pole as well as the odd boots mentioned above. That version of the set did not contain the mess kit. This item has not been factory reproduced. 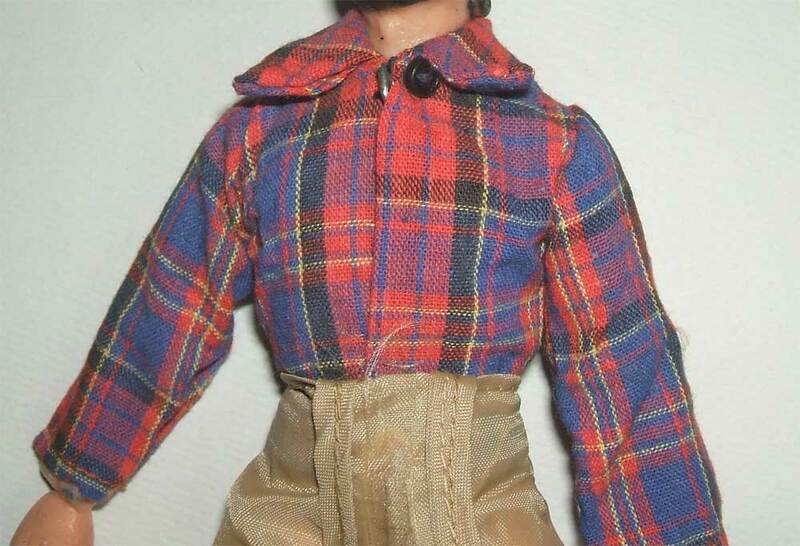 There is a version of the set that came with a harpoon gun instead of a fishing pole as well as the odd boots mentioned above. That version of the set did not contain the mess kit. The harpoon gun doesn’t often come with this set, although there is a rare version that contains it. 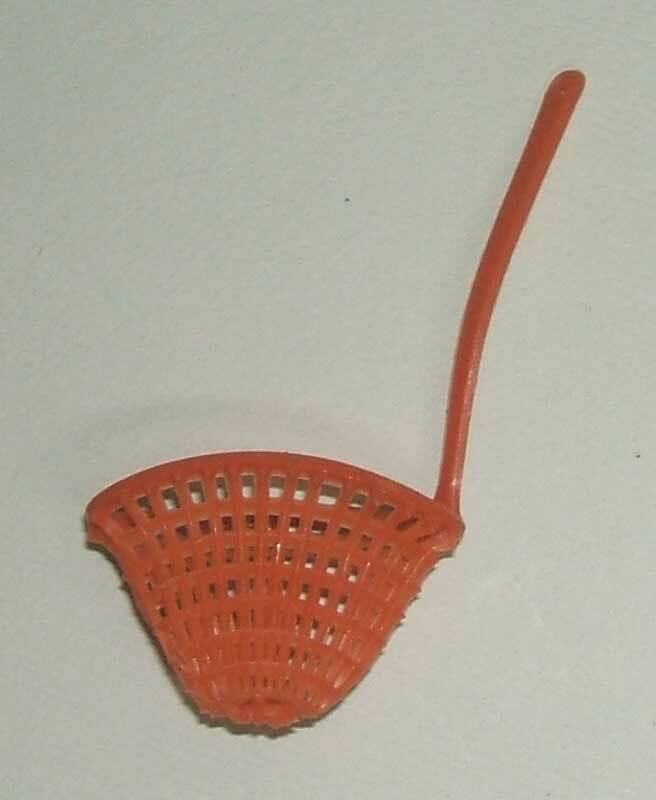 This item has not been factory reproduced. The rare set that came with a harpoon gun instead of a fishing pole also contains the odd boots mentioned above. That version of the set did not contain the mess kit. The harpoon gun can also be found in the Frogman set.